The Rare Old Times was composed by Pete St. John in the 1970's. He is an Irish folk singer and songwriter who is perhaps best known for his composition, The Fields Of Athenry . 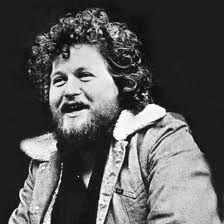 Jim McCann was a solo entertainer and folk musician for most of his life, but he did spend some time performing with the Dubliners, from 1974 to 1979. He became interested in music while on holiday in Birmingham in 1964. As a young man, he had been studying medicine at the University College Dublin. He began to perform in folk clubs in the area, and when he returned to Dublin he joined a band called The Ludlow Trio in 1965. They had some success, but the following year the trio disbanded and Jim began his solo career. In the following years, Jim released albums, made guest appearances on folk programs, was involved in theatre productions, made a television special, then he hosted his own series called 'The McCann Man'. It was here he met Luke Kelly from The Dubliners. They performed together in the original cast of 'Jesus Christ Superstar' in 1973, where McCann played the role of Peter. McCann joined the Dubliners temporarily in 1974 replacing one of its members that had been ill. When another member left the band to pursue a solo career, McCann became a full-time member and performed with the band until the end of 1979. This included the release of several albums and many touring engagements. He continued to perform as a solo artist releasing several albums and performing on television shows. In 2002, he re-joined The Dubliners for their 40th anniversary album. It was during this time that he was diagnosed with throat cancer. He did recover from the illness, but the damage to his voice left him unable to sing. Sadly, he finally succumbed to his battle with throat cancer and passed away on the 5th March, 2015. To many of us, he will always be remembered as the beautiful Irishman with the golden voice... RIP. One of the singles Jim McCann recorded during his solo career was a song called 'Grace'. This song is beautifully presented - the arrangement, his voice, along with heart-felt lyrics. It tells the story of the last night of one of the 'Easter Rising' leaders, Joseph Plunkett, and his sweetheart - Grace Gifford. JIM McCANN chords and lyrics are property and copyright of their owners. "The Rare Old Times" chords and lyrics are provided for educational purposes and personal use only.